I have been so inspired and motivated when it comes to photography lately! It has become one of my true passions ever since I got my Nikon D5300, my very first DSLR. I'm still learning a lot but I have learned a lot already! I wanted to share with you some of my absolute favorite photography tips from various bloggers/Instagrammers, as well as some tips from me, to get you as motivated and inspired as I am! I have to start with A Beautiful Mess because I don't think I'd be writing this post without having stumbled upon their DSLR Basics class. I began it last week and I've already learned so much. I'm not completely through it as I'm still working on the whole ISO/Aperture/Shutter Speed relation, but I'm actually shooting in manual! I've always been terrified of shooting in manual because I didn't really understand what I was doing. Now I understand and now I feel so much more in control of my photography and actually getting the pictures that I want instead of settling on getting pictures that come from the Auto mode. And trust me, I still lean on Auto and the other presets a little bit, especially when I'm outside because I still have some trouble with manual in direct sunlight, but I'm getting much more comfortable with at the very least shooting my blog photos in manual. One thing I would suggest if you take this course, coming from someone who wasn't 100% comfortable in manual, read the following lessons before actually trying to shoot in manual: Focus, Composition, Shutter Speed, Aperture and F-Stops, and ISO. They instruct you to start shooting in manual right from Focus and when I turned my camera to Manual, all of my pictures were coming out white and overexposed. I think if you're new to DSLR you need to actually have a grasp on the controls and how to get the proper settings for your lighting situation. This course is $75 which I happily paid and haven't looked back. I absolutely love this class and I'm continuing to learn. The course is self-paced and provides you with a printable copy of the entire lesson, as well as a couple charts and notebook pages. I love that you're able to print out the lesson plan so that I always have it with me. I've referenced different lessons several times and they've come in handy! 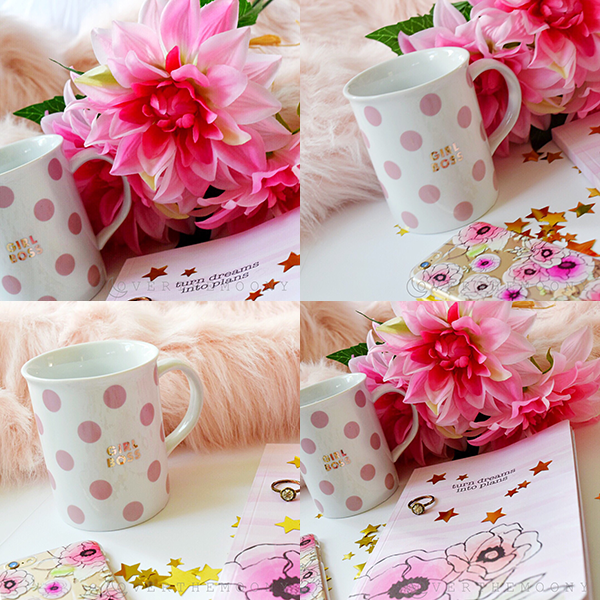 Beside being completely obsessed with Paula's blog, she gives absolutely amazing tips! The photography on her blog is stunning so any tips that she is willing to share I am ready to gobble up! 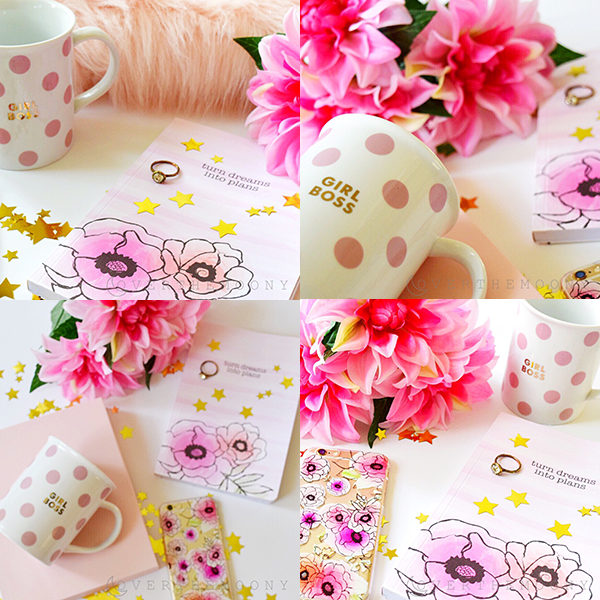 She has tips on backgrounds, lighting, props and the ever popular flat lay (more on that later). 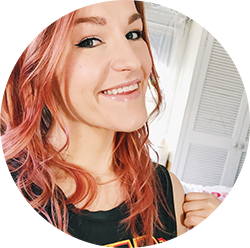 She also has a ton of super helpful blogging tips, many of which I have implemented myself. She is a great resource for any blogger and it's great that she is willing to share her wisdom! She also is a fellow Potterhead so extra thumbs up for that! I came across Paula's blog via Pinterest when searching for blog photography tips and I really feel like she's one of the best. She doesn't over-complicate her information and she makes it seem like you can really take her tips and run with them. Her site drove me to buying myself reflectors which have made a huge difference in my indoor photography! I found Emily a few days ago when looking on YouTube for (here it is) flat lay inspiration. This is something I feel like I've had issues with. The composition is tough! And not making it look too busy and having that perfect balance between curated and thrown perfectly on the ground is a tough skill to get down. Emily has several videos on her YouTube channel about flat lay videos, which I have learned a ton from and gotten super inspired by, but she also has videos explaining other aspects of photography. Emily is a giant fan of photographing flowers, which I am as well! I just can't seem to keep them alive long enough to photograph them. Womp womp. Makelight also offers online classes and a subscription to their website, which provides exclusive lessons, community support, Instagram feedback and much more. I'm anticipating taking some of her classes once I'm done with my other class. Her work is just so beautiful and I'd love to get more tips from her than what is offered on the YouTube channel! I'm not sure that she is still uploading videos there as it's been a while and I'm nervous about going through them too fast! I found Drew's video for the Perfect Flat Lay Photo & Editing and fell in love his tips. He has such a great aesthetic on his Instagram page and I loved his tips. My absolute favorite one, however, was something that is so obvious but I never would have thought of it. I have a love/hate relationship with the FaceTune app. Not that I really overused it, but when I was doing a lot of Makeup of the Day posts, I would use the details feature to amp up the look of my eye makeup. Once I stopped doing most of those posts, I deleted it. Then I would see a YouTuber raving about it, download it again, not use it, delete it... and you get the idea. Drew, however, uses it on his flat lays. Yes. YES! Why would I never have thought of this?! If you're photographing on a white surface, you're going to get shadows. If you edit the picture or use filters, the white is going to get discolored. Why not use FaceTune to get that vibrancy back? And then use the details feature to pop out some of the objects in your flat lay? So simple, but such a difference maker. If you look at her blog, you know that you're going to LOVE to get any tips you can get from her. Her photography is so beautiful and bright and perfect! She's another one that makes everything seem so simple. Like, why can I not get the hang of this? Why do I have to constantly Google how to do Flat Lays?! But I love all of her tips. I found her Blog Photography 101 video on YouTube and especially loved the bit about having the flowers being shot from above. I think that looks so beautiful, and while I definitely see it in different photos, I never think to do it myself. Now it's ingrained in my head and I will be doing it... once I can manage to keep said flowers alive. 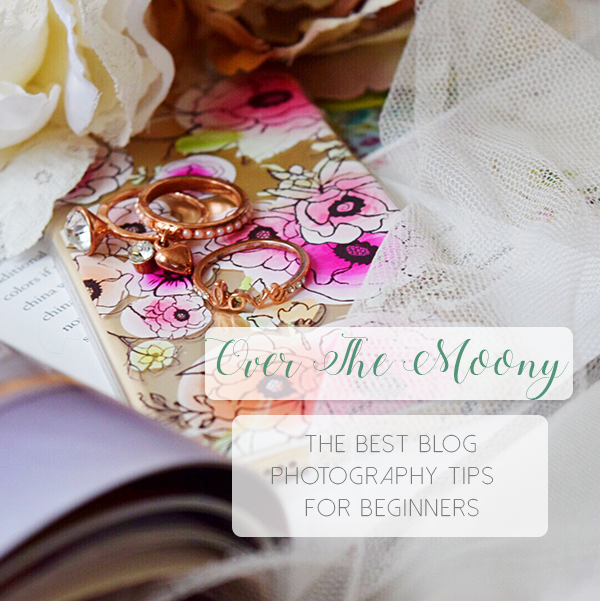 Jana is a wedding photographer who is gracious enough to share her photography tips with us. 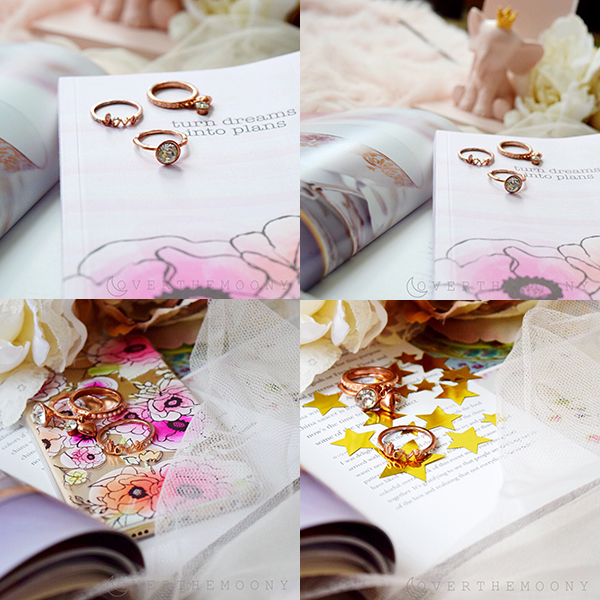 Looking through her blog, her photographs are absolutely stunning! I came across her How to Take Better Pictures With Your iPhone video on YouTube and now I have a bunch more of her videos queued up. She also has more advanced editing videos, which is great because I do want to get into that aspect of photography but probably more for my nature/landscape pictures than my blog pictures. Jessica is a portrait photographer with a ton of amazing tips. One of my favorite things that she shared in her Blogger Photography video is a video that you can share with the people who take pictures of you for your blog who might not have a clue about photography. When I'm out with my Mom it's perfect because she uses a higher grade Nikon than I use so she knows exactly what she's doing. Anyone else, probably not so much. DSLR's can be tough and crazy intimidating. I'm planning on showing her recommended video (10 Portrait Photography Tips No One Else Will Tell You) with anyone who I make take pictures of me, and I plan on viewing it for myself! Jessica also offers a ton of advanced editing, many of which are hanging out in my Watch Later queue, which is ever growing as of late. TAKE YOUR TIME. When you try to rush your photos, you're not going to get good pictures. I try to block off an afternoon to take my pictures, but when inspiration strikes I let it ride. The other day I got inspired and started shooting. John came home from work and I thought I had been shooting for 15 minutes. It was an hour. And then I shot for another hour. And I'm so happy that I did. I absolutely loved the results I got, which I have been the pictures I'm showing in this post! They're so different from anything I've done before but I'm so pleased with them. COLLECT PROPS. 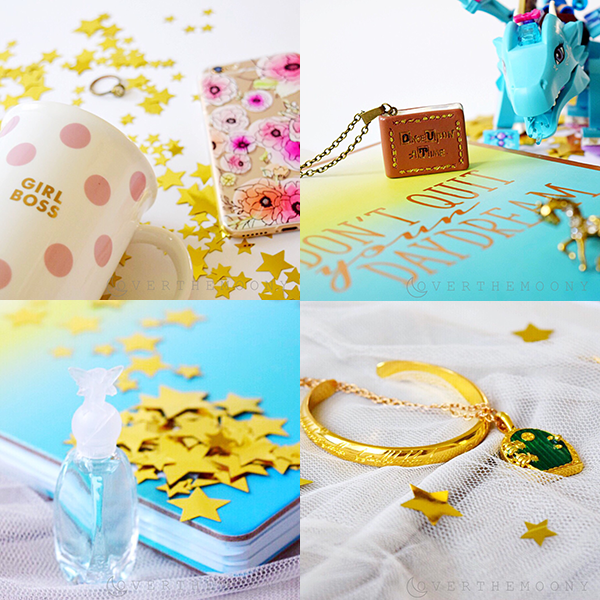 Props are such a huge part of blog photography, so start to collect them. Obviously everyone is going to have their own style (stay tuned for that tip) so the more you have to play with the better! I've become quite the Home Goods stalker, more than I already was, but now I just love looking at their notebooks and candles. 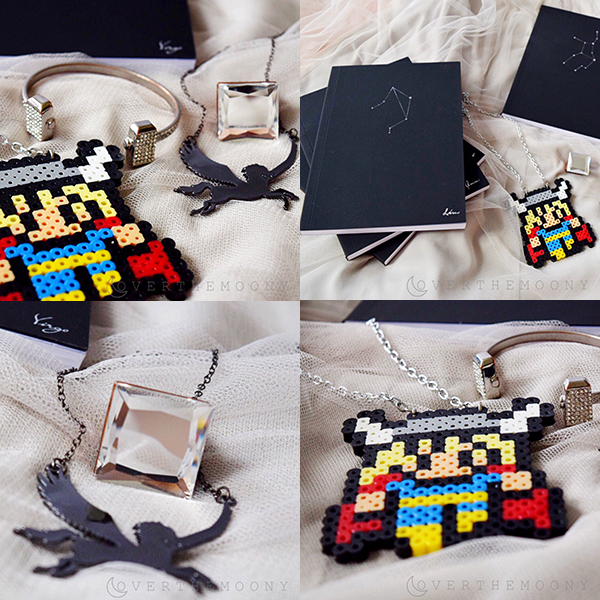 I'll also venture over into the kids section because they often have some really cute accessories, or they'll have smaller versions of more expensive things (i.e. faux fur rugs, tulle things, etc.). 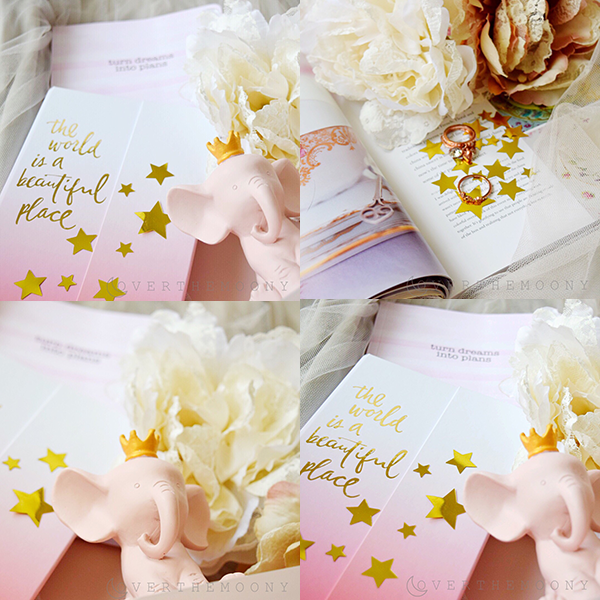 I got the adorable little pink elephant with the crown in the kids section and I absolutely love him! TRY DIFFERENT ANGLES/ARRANGEMENTS. I think this one is probably my biggest tip and the must-do of all of these. 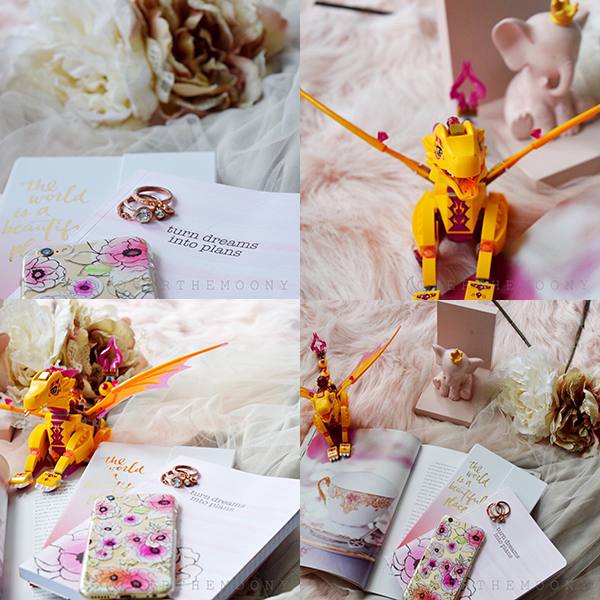 It is really amazing the different pictures you can get at different angles, even with flat lays (I don't know if it's considered a flat lay if you take it from a different angle than from above but it seems a lot easier to just keep saying flat lay). I was moving all over the place and couldn't believe how different such a simple-seeming picture ended up. I also moved things constantly. I added things, took things away, replaced things and completely nixed other things. Sometimes a lay doesn't work one way, but if you just change out one thing it can work perfectly. Don't be afraid to experiment, which definitely leads back to taking your time. There's so many opportunities you can miss if you rush! DON'T RUSH YOUR STYLE. You are not going to find your style overnight. You just won't. You can hit on it a little one day, but it's not just going to come super organically. It's going to take some work, especially if you're aiming for likes and getting noticed. What you might think is a great style and something that will draw people into your blog or your Instagram profile, maybe other people won't think the same thing. So many of the tips on building the perfect Instagram page revolves around finding your style and sticking with it so that when someone sees that picture, they immediately know it's one of your pictures. Your Instagram page might be a bit of a mess for the first few months. Mine is a bit of a mess, but I'm getting there. I also can't bring myself to delete many of my old pictures so that adds to it. You can certainly choose to have two separate Instagram accounts but to me, as a blogger, I am my brand so I'm not afraid to share pictures of my cats or my food even though that might not fit my Instagram style. Is that right or wrong? Depends on who you ask, and you might have a vastly different opinion on that than I do, but it's how I feel. I feel weird not sharing my life on Instagram because I've been doing it for years. The decision is yours, but finding a certain style seems to be a must. And those are all of the tips that I have for you today! I really hope you find all of these people as helpful and inspirational as I have and I hope that my tips are helpful as well! This past week when I haven't had to balance my blogging and my photography and my 9-5 job have been so insanely refreshing and really rejuvenated my creative juices. I'm so excited to continue to learn and work toward finding my style! Who are some of your photography motivators? I'd absolutely love for you to share them as I'm always looking for more inspiration!